Mercedes-Benz CLS Interior, Sat Nav, Dashboard | What Car? 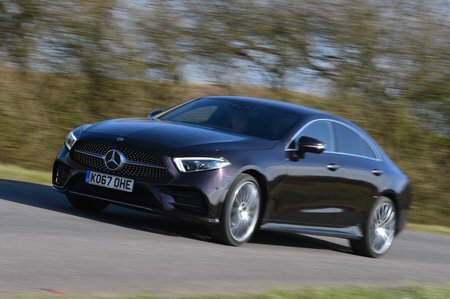 Even compared with the BMW 6 Series GT and Audi A7 Sportback, let alone regular luxury saloon cars, the driving position in the CLS feels cocooning, low and sporty. And in terms of adjustment for the steering wheel and figure-hugging seats, there’s enough of it to accommodate most shapes and sizes. The only issue is the bulge in the transmission tunnel by your left leg that results in offset pedals and a slightly skewed seating position (especially because the steering wheel is shifted slightly over to the left), but it’s far from uncomfortable. The driver’s seat comes with part-electric adjustment as standard, including four-way lumbar adjustment, while full electric adjustment is part of the pricey Premium Plus package (standard on the AMG 53). Seeing out the front is fine, but visibility is tricky out of the back due to the tapering rear end that makes the rear windows shallower. However, Mercedes has thought about the stress of parking and added front and rear parking sensors, as well as a rear-view camera, as standard. At night, the standard adaptive LED headlights are superb, too. There’s little doubt that the CLS has one of the snazziest interiors in the class, with a rich mix of materials including stained wood veneers and chrome highlights; these look even plusher when bathed in the ambient lighting at night. Full leather seats are standard and you can upgrade to baby-soft nappa leather for an added charge; if you opt for the AMG 53, you get nappa leather as standard. However, for all that looks great, it has to be said that, compared with the best-finished cars in the class, of which the A7 would be one, the feel of some parts of the interior feel a bit below par for the price. In terms of infotainment, as you’d expect, sat-nav, a DAB radio and Bluetooth are all included, as well as two 12.3in screens – one for infotainment and one directly in front of the driver in place of analogue instruments. If you go for the mild 450 mild hybrid model, you’ll get an extra indicator to show what the ‘EQ boost’ battery is doing – either assisting with small bursts of power or charging. 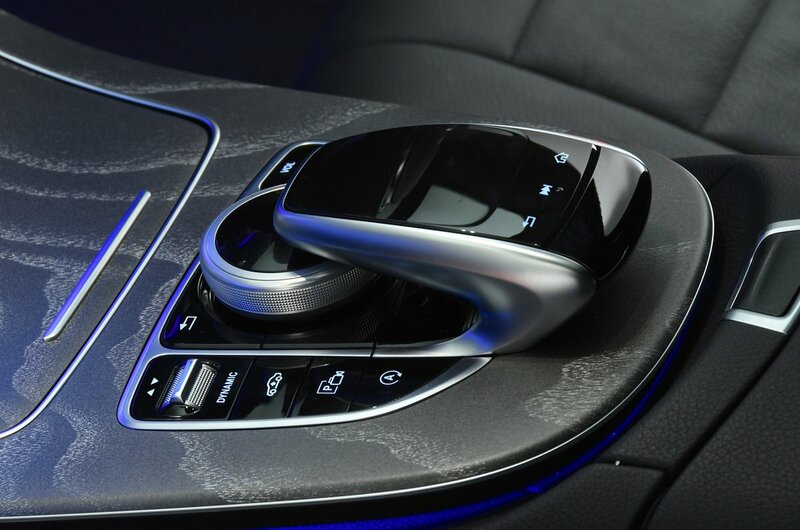 The infotainment system is controlled either from the rotary dial on the centre console, the touchpad above it or via touch-sensitive buttons on the steering wheel. An upgraded Comand system is part of the pricey Premium Plus package (again, this is standard on the AMG 53), which adds wi-fi, traffic sign assist and a subscription-based concierge service, as well as Android Auto and Apple CarPlay smartphone mirroring that allows you to operate your phone directly from the screen. We like the rotary controller that, like BMW’s iDrive in the 6 Series, is vastly less distracting to use while driving than the touchscreen system in the A7. Whichever version you choose, you’ll find it reasonably responsive, but the menus and general functionality aren’t as intuitive as BMW’s. The standard stereo has seven speakers, but if you add the Premium Plus pack that brings the Comand system, you also get a top-notch Burmester surround-sound stereo with 13 speakers and 590W – it’s good enough to please most audiophiles.